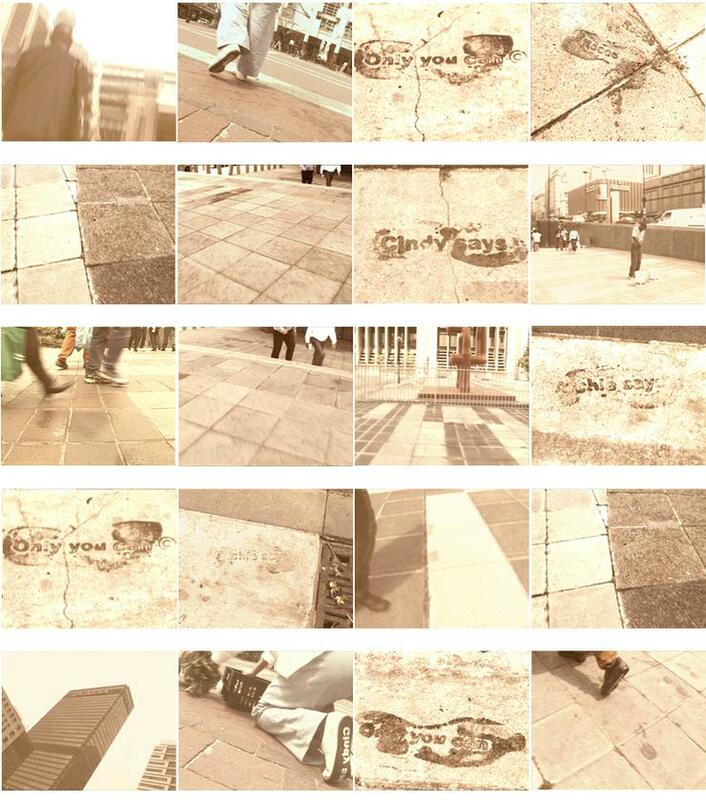 Extra Soles are witness to interventions that happen on pavements in the city of Cape Town. Various states of being forcibly intersect here: exhaustion and ‘pure grit’ with day-dreaminess and paranoia, hard-hitting reality and moments of fictitious marvel. Unglamorous, unknown legends are momentarily made manifest, not unlike the Extra Soles myth. The intervention involves anonymous people posing as extras in a movie, wearing working clothes and sporting soles embossed with encouraging messages. They walk in and out of puddles and imprint the pavement fleetingly with their messages. One reads: Rocco says Only you can©, another: Archie says Only you can©, and another Cindy says Only you can©. The fiction is filmed by a disenchanted documenter (only partially seen in the collision scene), who discovers these messages, and thinks they are mythical and worth recording.